Cozy and modern design studio with king size bed with en-suite bathroom with bathtub, TV 32-inch, fridge/freezer, temperature controlled AC. Ideal for couples, corporate guests and luxury travelers. I can’t rate Regency highly enough. This was our third visit, and it never fails to thrill. The food is absolute first rate, and the service is a joy – no pomposity just people who seem to enjoy what they do, and are proud of their hotel. The Tanzanian Sommelier was a hoot! Everything is fresh and in season, and wonderfully light. I had the most amazing time in the room and service from staff was great, and because we couldn’t get a channel wouldn’t work in that, I was also given another room and free dinner just for the channel on TV to have somewhere to sit. We will be back! Book a room at Regency Park Hotel and get 1 free personal training session for you & your partner. 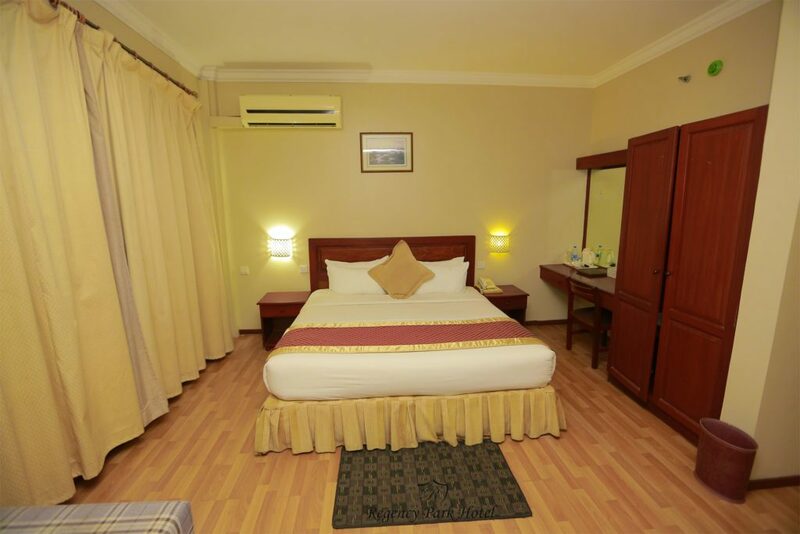 Located in the heart of the posh Mikocheni Estate on old Bagamoyo Road, this magnificent hotel is within close proximity to Dar Es Salaam most vibrant and thriving world class shopping malls and arcades, MayFair Plaza, Shoppers Plaza to mention a few.